This system was developed to respond to the specific airport needs and trends and incorporates the best contemporary, practical approaches and allows for technology applications where they provide value. The approach is also driven by the needs of passengers in response to current and forecast usage. The program consists of a state-of-the-art wayfinding and signage system for this large, complex, international airport, surrounding parking and transportation services as well as the approach roads. A site specific color-coding system for both international and local users is developed through a thorough analysis of individual travel scenarios, various passenger flows, user behavior and needs while under travel stress. Special attention and design considerations were given to the historical nature of Saarinen’s terminal design. 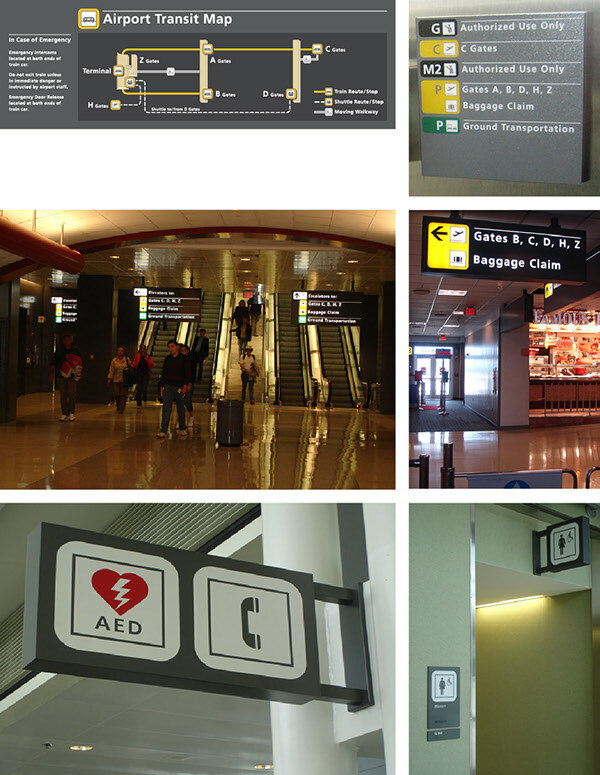 The Dulles airport terminal is a designated historical landmark, and the signage design is intended to work seamlessly in this environment, while providing all the wayfinding information needs of the users. The implementation contract of signage was based on the wayfinding and signage standards, also prepared by MAW. The completion of the first signage package has coincided with the opening of the new airport passenger train system in the winter of 2010. 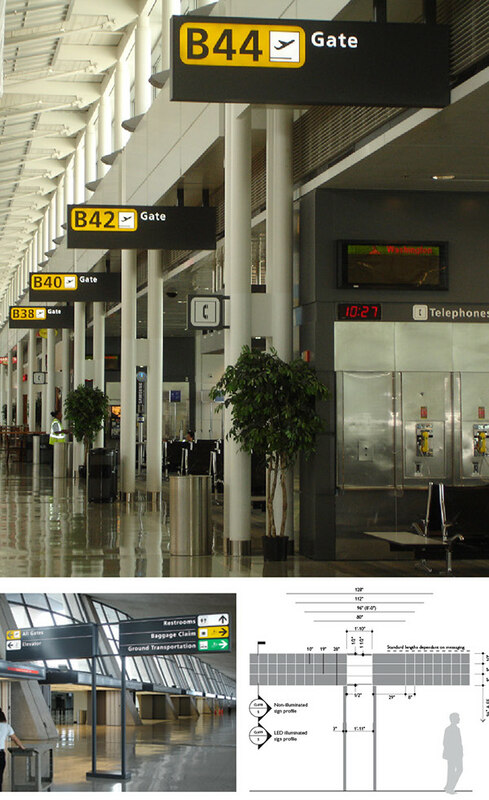 Design and development of new pro-active, easy to use, consistent and cohesive, state-of the-art airport wide wayfinding and signage standards system.